1 lb. Gift Tin with 4 Flavors, Gifts: Oliver Pecan Co. 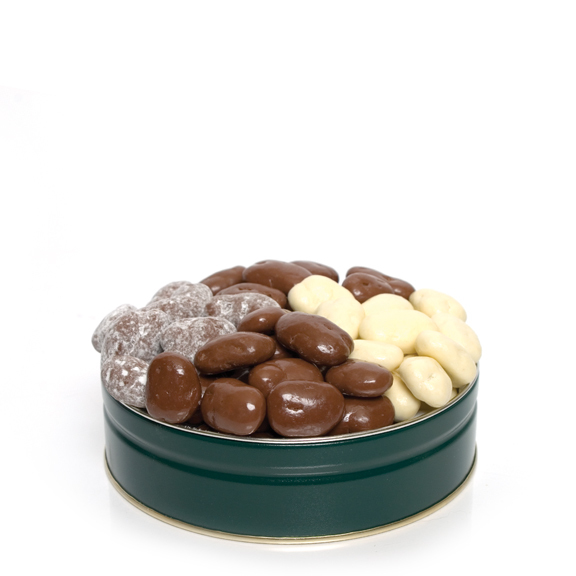 The gift tin includes our Chocolate Pecans, Chocolate Amaretto Pecans, White Chocolate Pecans and Chocolate Toffee Pecans. This makes a great gift that they will remember for a long time.